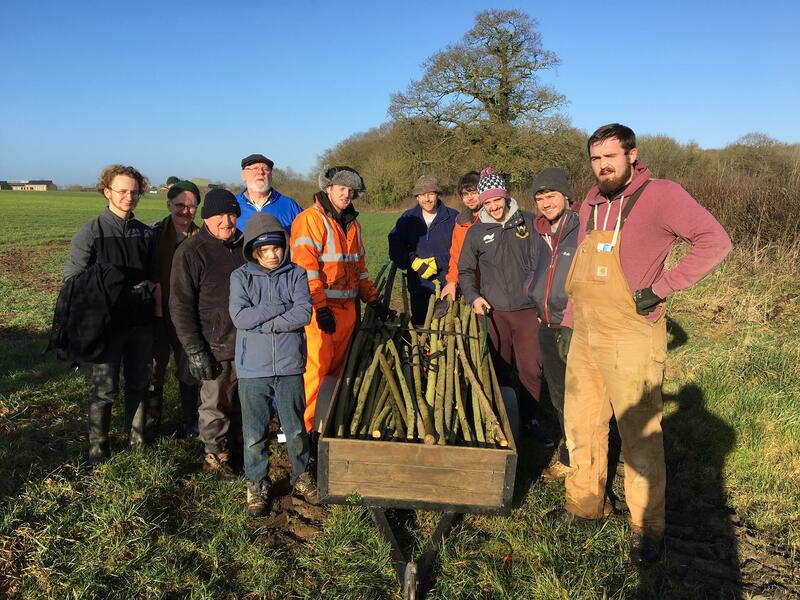 The stick cutting team out bright and early on Good Friday morning, March 25 2016. 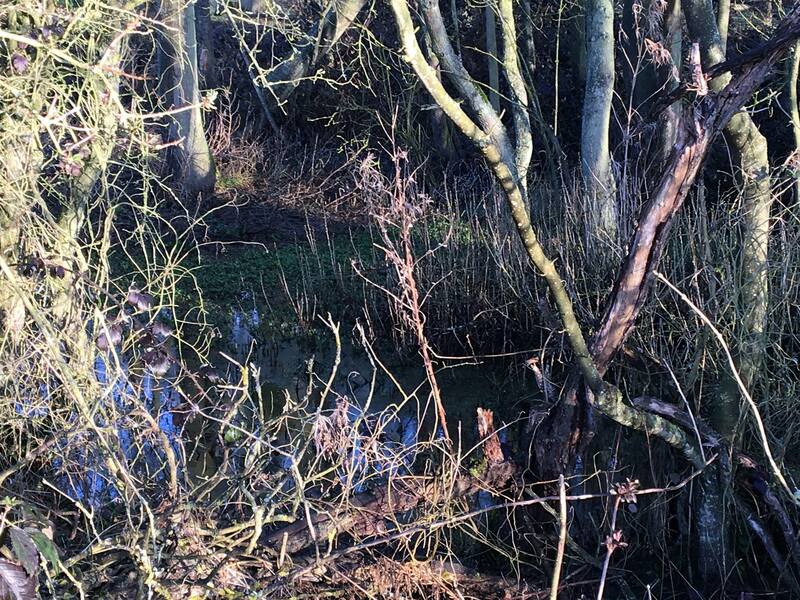 Each year we collect new willow sticks from the Chalybeate swamps near Moulton (below) , to be stripped and dried ready for dance action. Every year quite a few get broken by enthusiastic clashing, so replacements are always at hand! Here at Moulton we believe the secret is starting 'em off young! Born a couple of days before this year's festival and there in time for a bit of dad dancing! Congrats to Hayden and Debbie and welcome to Finlay! We have noted comments from users that the website was not coming up when searched for on Google. We have now resolved these technical issues and it should be coming up properly on all search engines now, but if there any further difficulties please drop us a line to let us know so tha we can sort it out. The lads have all been issued with new kit! We pride ourselves on a smart turnout and some of our baldricks were getting...errr... a bit aged and Baldrick-like. Thanks to some grant funding we have been able to replace all the kit including hats with some new sets of baldricks armbands and toppers. First outing was at Extravaganza Barn Dance at the end of January 2015. Now, can you spot the odd one out? 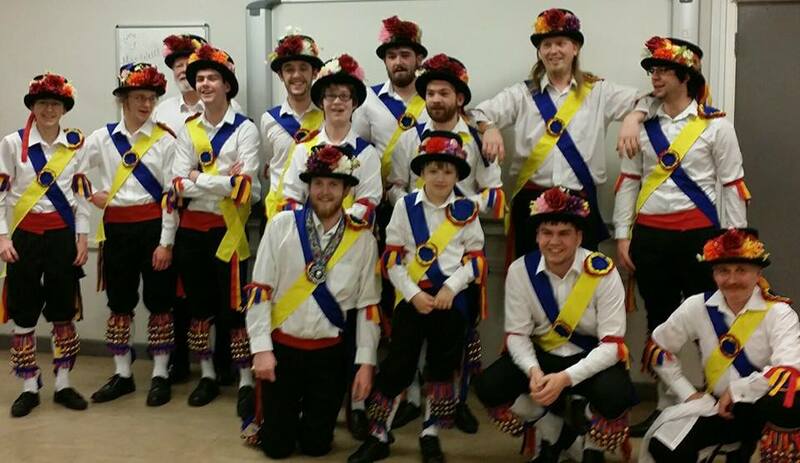 The Moulton Morris Men have added two "lost" dances from a Northamptonshire village to their repertoire. 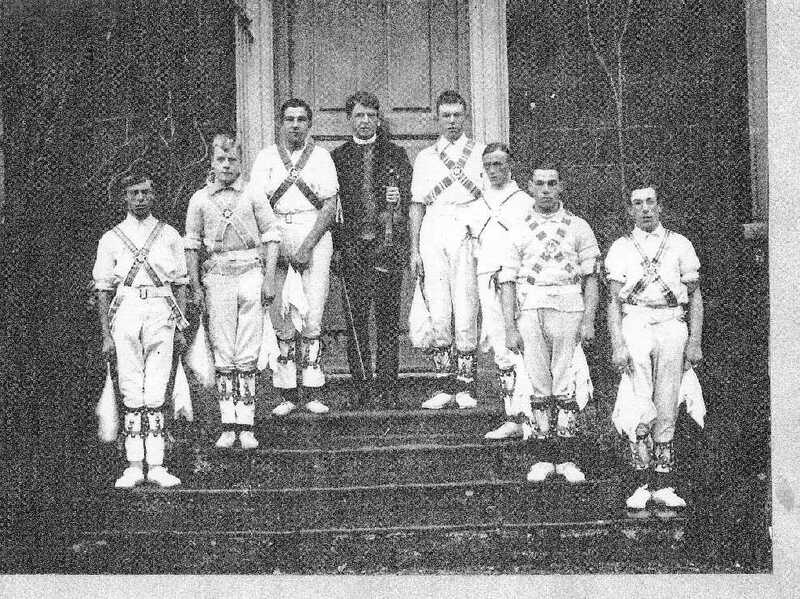 From old correspondence of the Reverend Watkins-Pitchford,Rector of Lamport in the early part of the 20th century, concerning the Nene Valley Morris Men, a very early "revival" side active in that village, Barry Care noted references to the men learning dances from old dancers from the Badby and Ravensthorpe sides. Badby is a well documented tradition, but Ravensthorpe ( a village about 8 miles northwest of Northampton) seems to have passed on un-noticed. It would seem that the village side died out towards the end of the 19th century. Further enquiries unearthed the movements for two dances from Ravensthorpe: "Shepherds Hey" and "Shoot It". It appeared from Revd W-P's correspondence with Percy Grainger that Ravensthorpe also had its own unique version of the tune for "Shepherds Hey". After much further searching , the score for this tune was found, noted down within a letter, in correspondence stored in the Percy Grainger Museum in Melbourne Australia. Both Ravensthorpe dances feature a "sticks on shoulders" motif and a "jaunty" style. Having now the tunes and the movements, Moulton set about rehearsing the dances and the Ravensthorpe "Shepherds Hey" was danced again, to its own tune, for the first time in about 80 years, at Covent Garden, London,in the spring of 2005. To see it danced , click on the video. If your computer's security settings prevent this running, you can use the link below it.